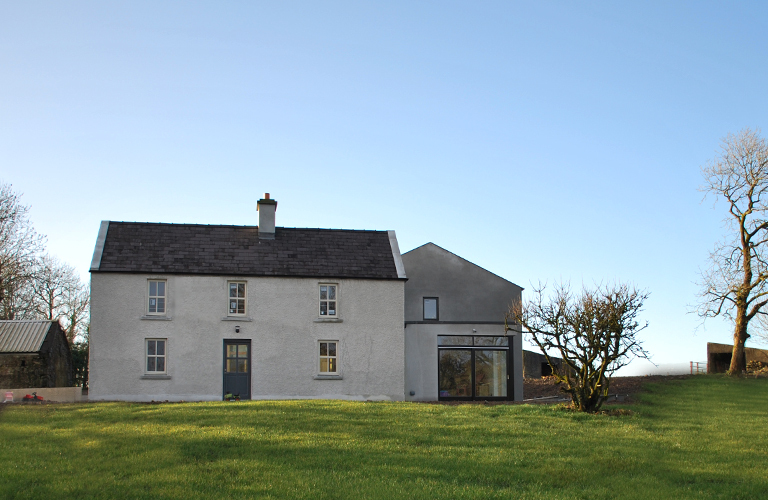 Ballymote house is situated just outside the village of Ballymote, sitting in the heart of County Sligo, was a tired a dilapidated farmhouse crying out for someone to pay it attention. 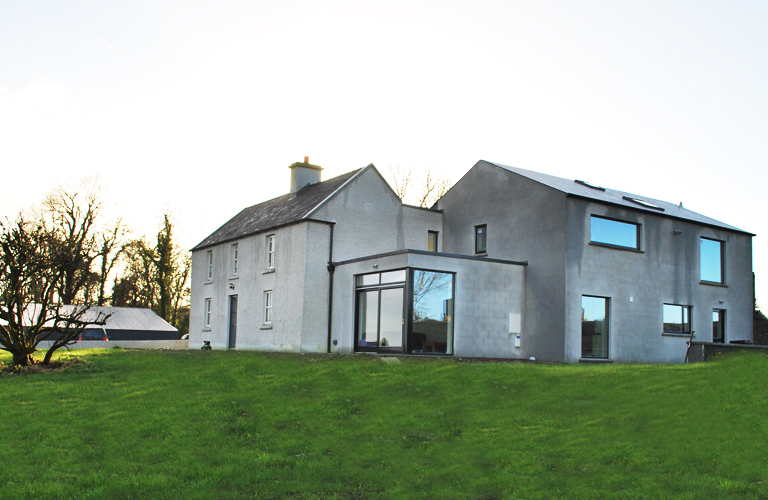 Our clients, Katie and Shane realised the potential of Ballymote house and site contained to transform it into a spacious, modern house for their young family, while retaining the charm and character of the old farmhouse. Working with the existing structure and extending sympathetically to the rear, the brief was to form a spacious open plan living space with a relationship to the beautiful surrounding landscape. The extension sits behind the old building so that when approaching from the road only the existing renovated house can be seen. The extension suddenly appears as a surprise as you round the building to enter what is now the main entrance. Light and airy are the two words that describe the new main entrance which links the old to new. 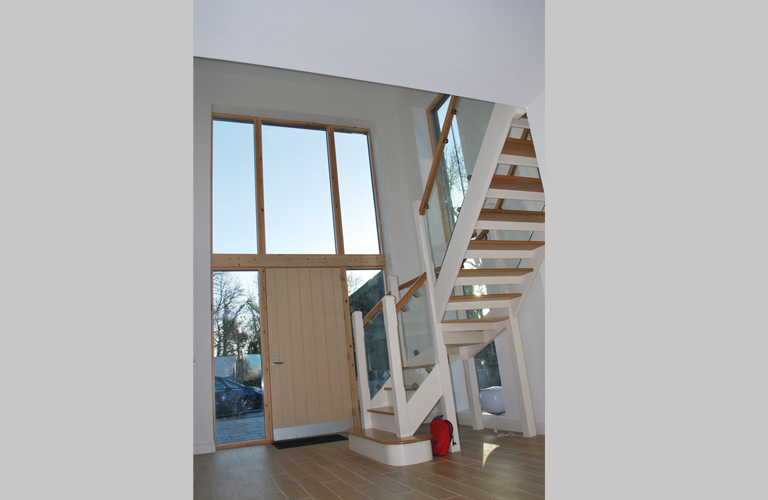 A two storey void containing the new staircase with access upstairs to 4 new bedrooms, 2 bathrooms and a master suite. The light belies the thermal efficiency and technology within the project. 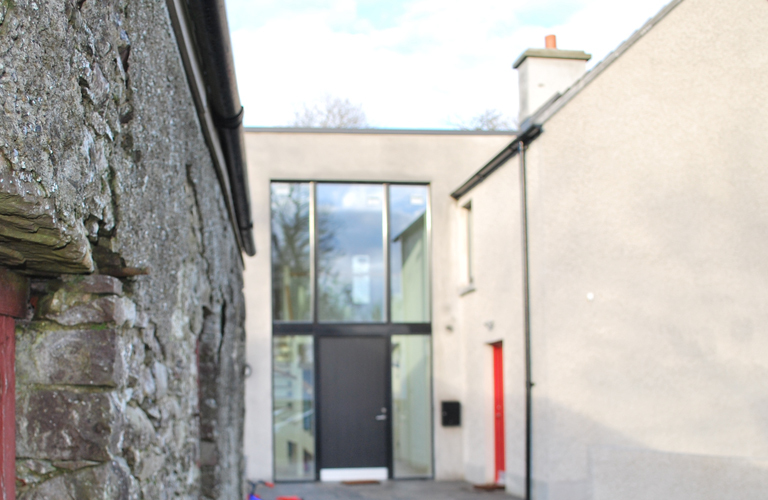 Triple glazed windows, geothermal heat pump, rainwater harvesting and heat recovery ventilation system are some of the elements which provide the comfortable environment within which the family can go about their daily life. 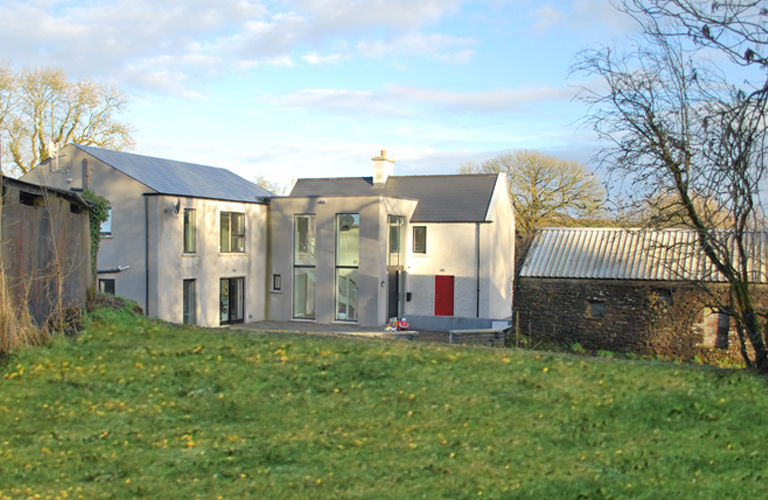 The use of render and timber windows, coupled with traditional slate allows the extension to exist harmoniously with the existing house and form another chapter in the history of this family.